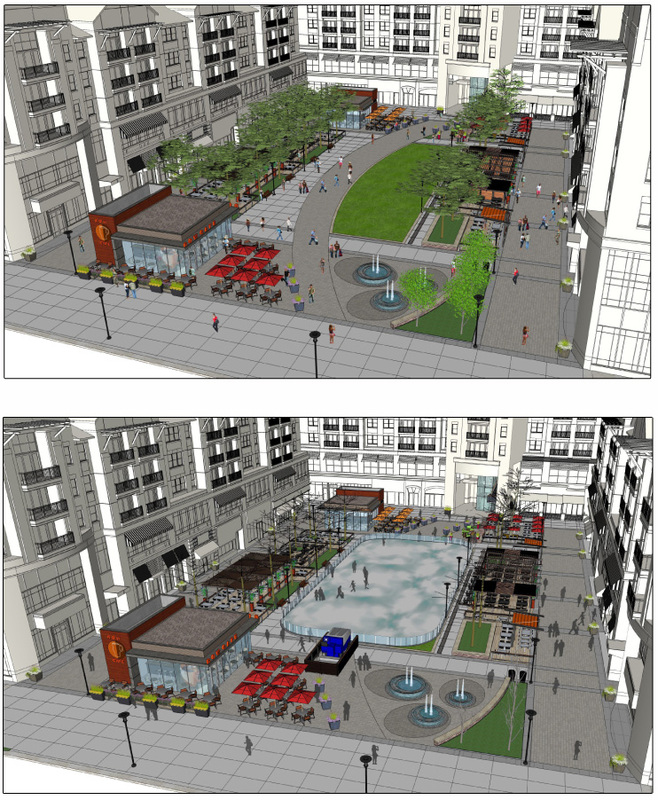 We’re making the plaza at Pentagon Row even more awesome. Because after this year’s renovation, the Row will boast a bigger ice rink, enhanced outdoor dining areas, more retail space, and public gathering spaces that include an expansive, lounge-worthy lawn, a new water feature, and a new, very cozy stone fire pit. So please pardon our sawdust. It’ll be totally worth it.